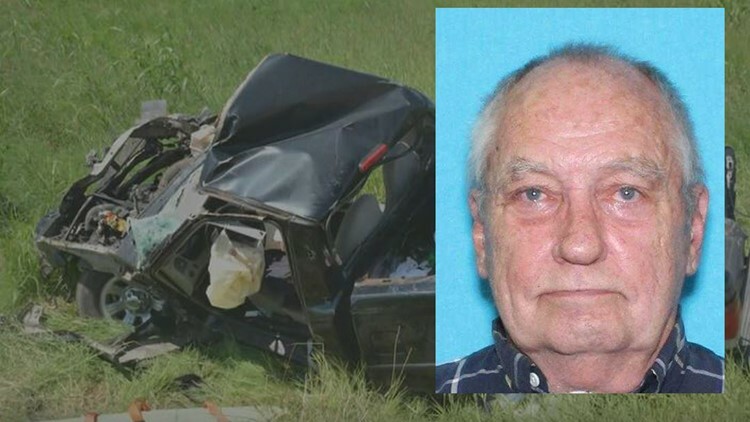 Seventy-two-year-old Joseph McKoy died in a crash in Del Valle in the fall of 2018. The body camera video that captured the minutes before his death is now under investigation. AUSTIN, Texas — When paramedics showed up to a hit-and-run crash last fall, they immediately knew the passenger in a truck had not survived. But when they started tending to the driver, medics from Travis County Fire Rescue realized he appeared to still be breathing. What happened during the next few minutes was captured on body camera and is now under investigation by Austin-Travis County Emergency Medical Services (ATCEMS). ATCEMS is looking into whether their paramedics did enough to save 72-year-old Joseph McKoy. Joe McKoy was killed in a hit-and-run crash that happened in 2018. 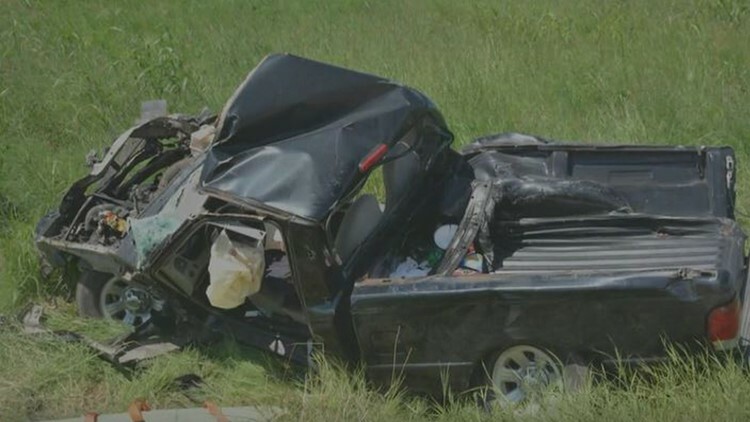 McKoy and his husband, Jesse Stewart, were driving their Ford Ranger along Texas 130 when someone hit their pickup Sept. 27, 2018. Two men died in a hit-and-run crash in Del Valle in the fall of 2018. They both died at the scene of the crash. Several days earlier, McKoy had brought over baked goods to his neighbors -- Edward and Esmeralda Reyes -- across the street. They didn't realize that would be the last time they would see him. Edward Reyes said McKoy is "why the word, neighbor, exists." "He was our neighbor but our friend," Esmeralda Reyes said. They were even more distraught to learn that the driver who struck their neighbors took off and left them to die. When Travis County Fire Rescue medics noticed that McKoy was still breathing, they started arguing with other medics on the scene about whether he could survive. “Ultimately, there was a feeling that we could have more aggressively advocated on behalf of the patient,” said Ken Bailey, chief of the Travis County Fire Rescue. The body camera video captured Bailey’s staff pressing to continue tending to McKoy. However, an ATCEMS medic – the senior one at the scene – deemed McKoy’s injuries not survivable and ordered the crews to stop life-saving measures. McKoy died about 20 minutes later. No medic has yet to be disciplined and all continue working. Our City’s First Responders are committed to the pursuit of excellence in clinical care and risk their lives on a daily basis to help others in need. While our EMS and Fire Department strive for perfection, as with any other aspect of healthcare, The Office of the Medical Director consistently reviews our clinical practices in order to continue to improve the care provided to our community. When incidents are referred to the office due to concerns for potential error, a systematic physician-led evaluation is performed. If opportunities for improvement are found, plans to address those issues through education or system changes are implemented. WHEN SHOULD MEDICS STOP HELPING A PATIENT? Under EMS policy, a patient should be declared dead if they are "pulseless" or "apneic." That means they aren’t breathing. A close-up of a document from ATCEMS. 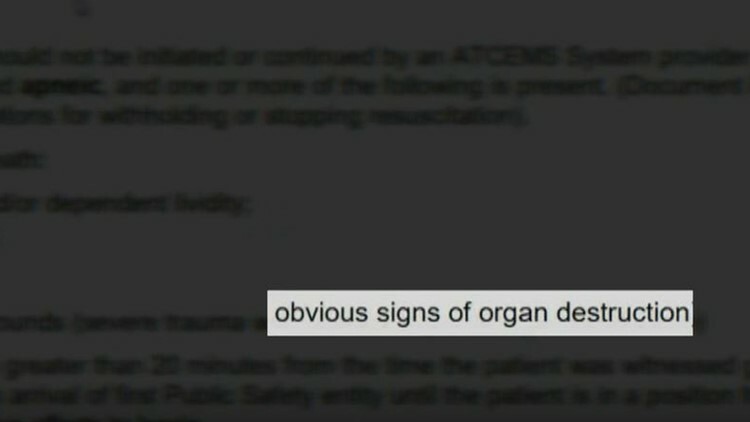 The policy goes on to say a patient should be declared dead if they have "obvious signs of organ destruction." 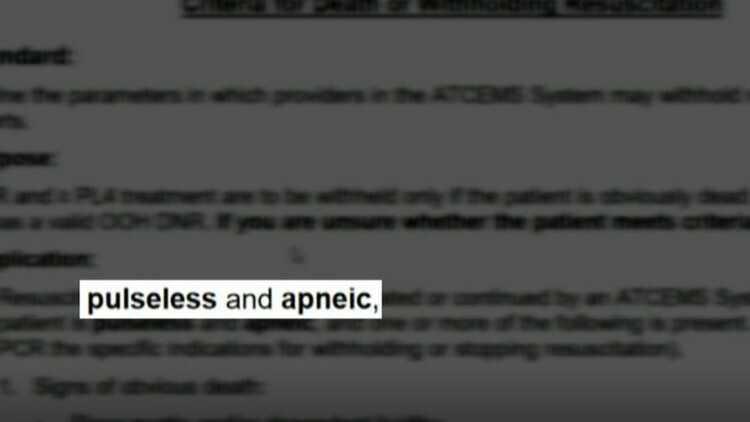 A copy of ATCEMS' policy on patients. If a dispute happens between medics in the field it is the responsibility of “on scene Credentialed Providers to reach consensus” as to the most appropriate care of the patient. It defers to the senior EMS medic on the scene. In McKoy's case, it was the medic who thought it was time to stop aiding McKoy. “A paramedic making that call on the field has a lot of challenges,” said Dr. Pat Crocker, a former ER doctor in Austin who often advised medics. He said he always encouraged them to take the patient to the hospital even if the chances were low they will live. “A patient who’s breathing and has a pulse I would have to consider a possible survivor," said Crocker. 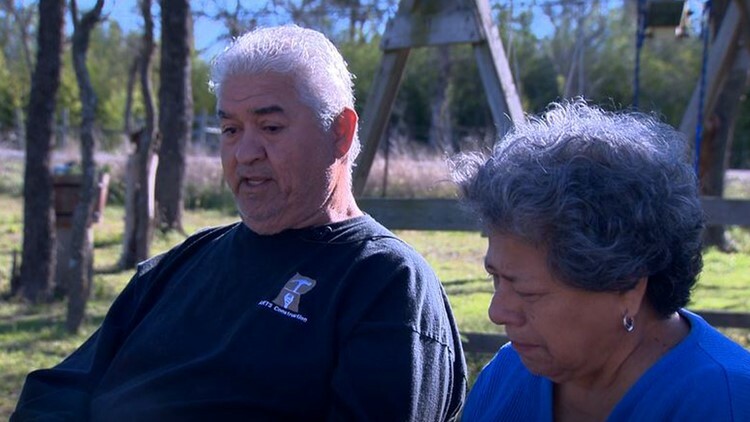 Edward and Esmeralda Reyes were the neighbors of two men who were killed in a hit-and-run. Four months after the loss of their neighbors the Reyes are still grieving the loss of one of their friends. “I could feel that God loved them very much," Esmeralda Reyes said.